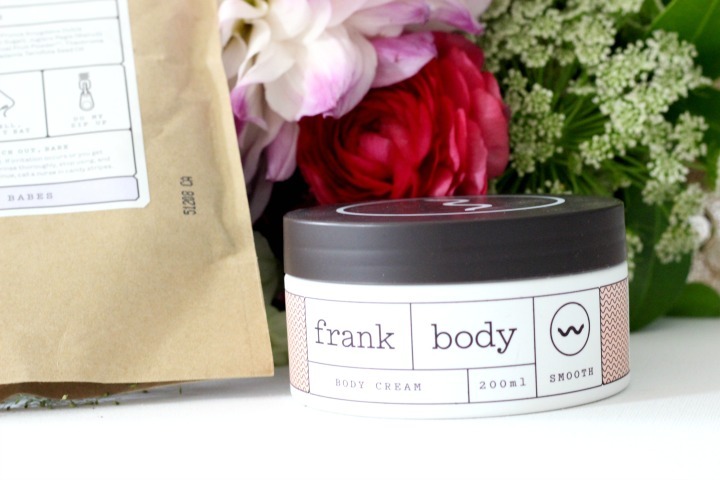 Just like with the many things I see floating around the social sphere, Frank Body is a brand that I have seen loved by many people over the last couple of months and has always been something I’ve wanted to try. Having enough body scrubs to last me a life time though, it wasn’t something I was ever in a rush to purchase to see if it worked or not. 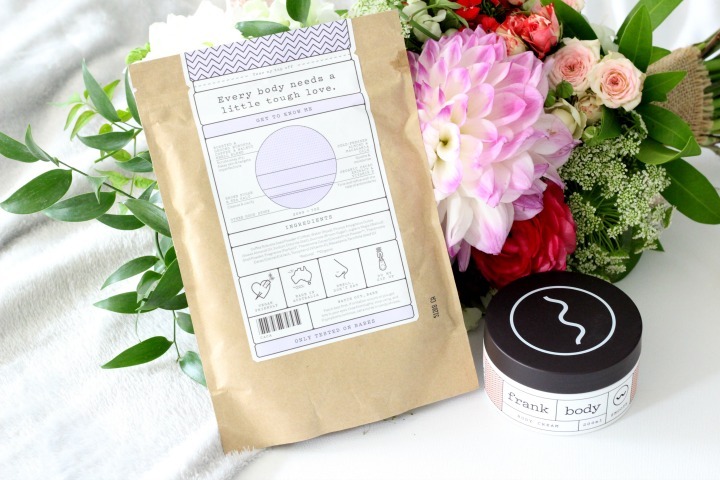 Very fortunately, I was kindly sent a pack of the Frank Body Cacao Coffee Scrub and Body Cream recently to try out and review and honestly I cannot believe that there wasn’t more of an urgency in me to try this stuff out. Made from Roasted and Ground Robusta Coffee Beans, Organic Cacao Extract and Cold Pressed Almond and Macadamia Oil the Frank Body Tough Cacao Body Scrub is designed to leave your skin feeling soft and hydrated even in the cold months. I’ve never really thought much into my body scrubs before, thinking that they’re just something you use before you fake tan to exfoliate away all of your dry skin, but after having a gorgeous bath the other day and covering my pins, arms and basically my whole body in this Frank Body Scrub, I’ve learnt there’s definitely more reasons to pamper yourself than just before adding a little colour to my complexion. My skin had never felt to smooth and so healthy and I left my bath literally feeling like I had a whole new set of skin on (if that’s not the weirdest thing I’ve ever written, I don’t know what is). The tough yet soft texture of the scrub was definitely a little strange, but after applying it to my wet skin and rubbing it gently I could instantly feel a difference in the way that my skin was feeling. For £12.95 this 200g bag goes a long way as well as I only needed the tiniest bit to cover both legs, arms and my face; for how glorious I was left feeling, I wouldn’t begrudge paying this in a second. I was also very generously sent a full sized tub of the Frank Body, Body Cream which I applied after I’d lightly dried myself off with a towel. I’m not a fan of body creams/lotions/butters at all (surprising considering I work in the Body Shop) because they’re usually too sticky, too thick or just take far too long to sink into my skin, but again this one surprised me and I’ve basically fallen in love. With a gorgeous chocolatey scent to it thanks to the shae and cocoa butters amongst the main ingredients, this body cream is lightweight and gorgeous to apply. I found that I haven’t had to sit around naked for ages waiting for my skin to drink it up like I normally have to with other body creams, but that it just melts away instantly and keeps my skin feeling so moisturised ready for the day ahead (and more importantly ready for me to put my clothes on straight away). It’s got a lovely velvety texture to it and is a great finishing touch to keep my body feeling smooth and hydrated after my body scrub. I’ll definitely be restocking my stash after these two products run out!